Today we decided to go on a bit of an expedition of the surrounding countryside. 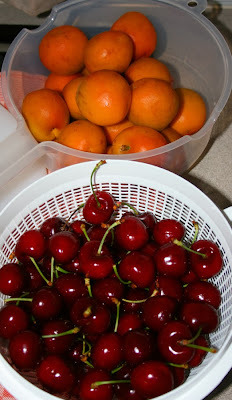 We didn't get very far down the road before our first stop, when we saw a sign "Fresh Cherries". I haven't had really nice cherries in such a long time. So this stop was a no brainer. And we weren't disappointed, these cherries are large juicy beauties. Then it was onto our first township of Capel, which was a nice little country village that appeared to have a lot of community activities for the locals. 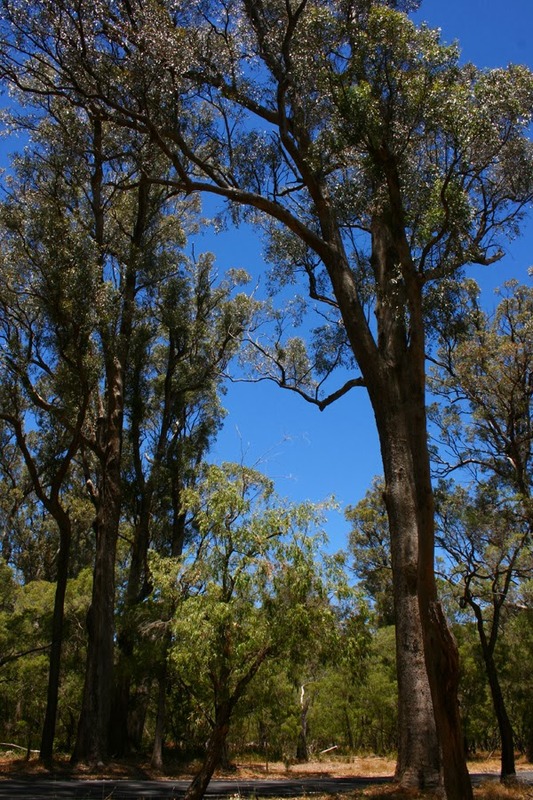 The tourist literature told us that Capel is home to the only remaining natural occurring Tuart forest in the world. So I had to check this out, for my own curiosity and because my son Shane works in forestry I could tell him about it too. As it turned out even though Capel claimed to have these trees, they are actually about 6kms away in a totally different area of Ludlow Tuart Forest. Tuart (Eucalyptus comphocephala) trees are a single stemmed tree and can grow up to 40 metres tall. Along the road a bit further we came across a sign I have never seen before. 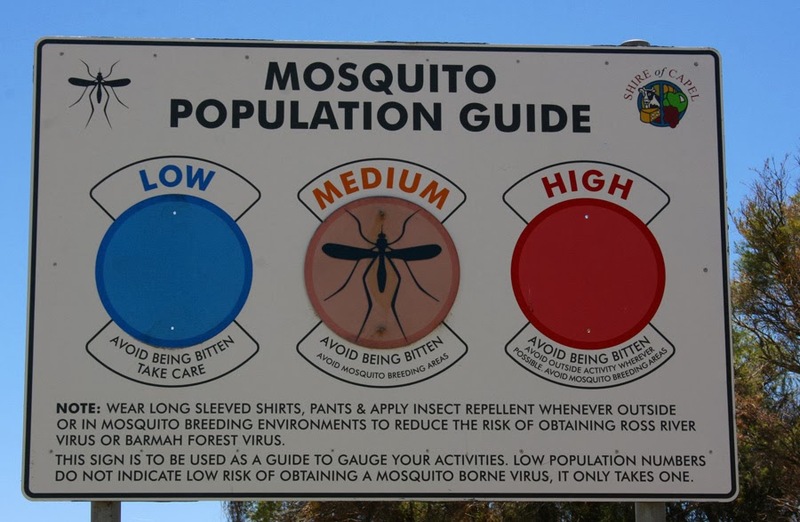 A Mosquito Population Guide! I don't think I would like to be around when the gauge is on high! Then it was a short stop off at Peppermint Beach to have some lunch we had bought along, and also a handful of our yummy cherries. 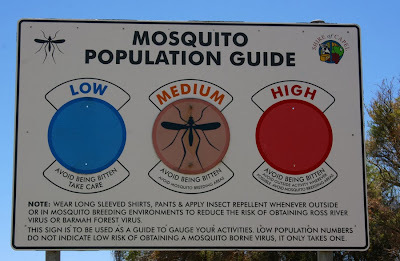 The next tiny town was Boyanup before hitting the very fertile area of Donnybrook. Not only was there lots of wineries, but heaps of orchards selling there wares of cherries, apricots, peaches, plums, and various vegetables. But the most popular item would have to have been apples. In fact the first Granny Smith apples in Western Australia were grown in the Donnybrook region. But this isn't the right time for Granny Smiths so we bought some crunchy Pink Ladies. About 5 kms out of Donnybrook we saw a sign saying "Fresh Maron For Sale". Not only have I never tasted a Maron I've never seen one. Maron are sort of like a fresh water crayfish. So after picking the owners brain about how they are farmed (and also listening to the farmer complain about the government way to much) we left with two live Maron. But more news on these little guys will have to wait until tomorrow night when we eat them. Don't worry they aren't in pain, they are sound asleep in the ice in the esky. Apparently that's the most humane way to cook them, put them to sleep on ice first before cooking them. The next town of Mumballup was so small it was non existent but situated in some beautiful countryside. Then it was onto Collie which is situated near the Wellington National Park and the Wellington Dam. 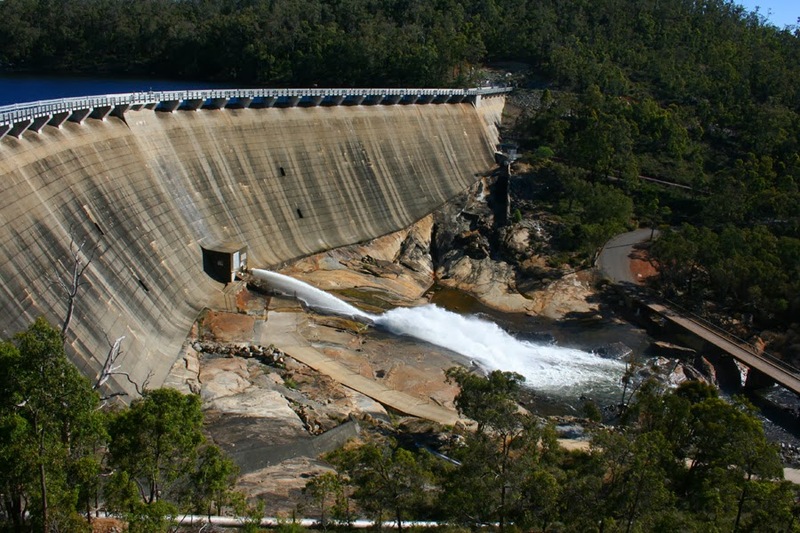 The main industries in Collie are coal mining, power generation and the timber industry. 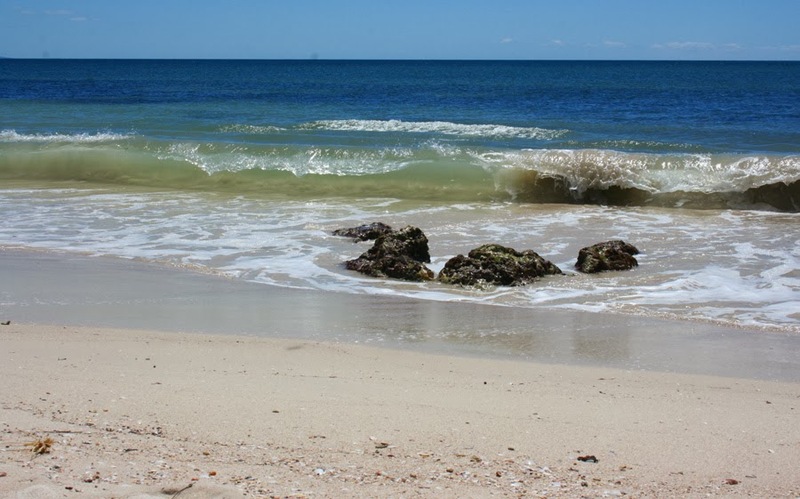 Then after travelling through the last village of Burekup it was time to head back to Myrtle in Bunbury. Now did you notice something about a lot of the town names - yes they end in "UP". I read somewhere towns ending in "up" is an Aboriginal term meaning "place of water".